Home / Conventions / Comic Con Roundup! Funko Releases Their Latest Wave Of Exclusives! Masters Of The Universe! She-Ra! Power Rangers! And More! Comic Con Roundup! Funko Releases Their Latest Wave Of Exclusives! Masters Of The Universe! She-Ra! Power Rangers! And More! SDCC Exclusives 2017 Wave 9: Miscellaneous! Today’s wave is a bunch of items that didn’t really fit in with any other category, but we love them just the same! Our Five Nights at Freddy’s San Diego Comic Con 2017 exclusives are from Sister Location, the latest game in the series! Fus Ro Dah! The mighty Dwarven Colossus joins our Elder Scrolls series as a super-sized 6-inch Pop! Our very first San Diego Comic Con exclusive Dr. Seuss Pop! is the flocked Lorax! Initiate Megazord sequence! The iconic Megazord is a San Diego Comic Con 2017 exclusive super-sized 6-inch Pop! Megazord Battle Mode! Our Masters of the Universe series grows with a glow-in-the-dark Scareglow Pop!, flocked Panthor and Battle Armor Skeletor Dorbz Ride, and She-Ra in Rock Candy form! 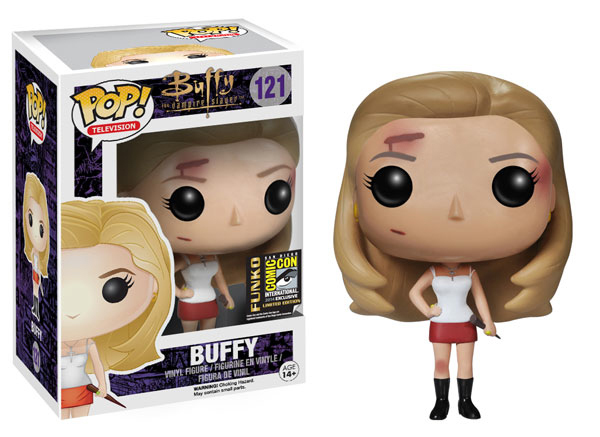 Long-time Funko collectors, rejoice! We’re bringing back Sike-O-Shriner in Pop! form for San Diego Comic Con 2017! SDCC 2017 Exclusives Wave 7: Warner Bros. – Harry Potter, The 100, Supernatural & Lord of the Rings! The love of a mortal man, Aragorn, and the immortal Arwen will not be denied in this SDCC 2-pack! SDCC 2017 Exclusives Wave 8: Disney! Our Disney SDCC exclusives sure cover a lot of ground! We have some new characters from cartoons, movies, and Disney Parks! Plus, check out some fun versions of familiar faces, like flocked or glow-in-the-dark! It’s a mask he can’t take off! To hide his true self, it’s Elliot Anderson featured in the fsociety mask! Funko’s Latest round of exclusives for San Diego Comic Con 2017 are all animated!! n epic amount of your cartoon favorites are now arriving as SDCC exclusives! Check back soon for our next reveal! SDCC 2016! Archer Live! H. Jon Benjamin! Chris Parnell! Aisha Tyler! Christian Slater! And More! D23 Live Action Panel! With Angelina Jolie! Tom Hiddleston! Natalie Portman! Anthony Hopkins! Thor: The Dark World! Maleficent! Captain America! Muppets! And More!